COZYMO Learning Group (Beginning) and COZYMO Learning Group (Continuing) Programs will begin again in Semester 1, 2018. We will hold our first Session on Sunday 4 February at the Hellenic Club In The City, 13 Moore St Civic, Canberra. You are most welcome to sign up now for Semester 1 2018 – just contact COZMO’s Secretary Lea on 0421 043 082 or secretary@cozmo.org.au to advise of your interest. All ‘youth’ – whether in experience or in age – are most welcome. These one-semester long Programs offer you a great opportunity to begin or to continue to learn a plucked stringed instrument – mandolin, mandola, mandocello, guitar and bass. If you’d like to lay a good foundation for playing, or extend your current playing skills, you’ll want to participate in one of our next Learning Group programs. COZYMO Learning Group (Beginning & Continuing) sessions: 4.00 – 5.00pm. Anyone interested in starting or improving their playing on these instruments is welcome! Bookings are essential: phone 0421 043 082 or email secretary@cozmo.org.au. 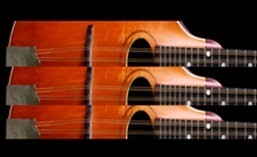 Interested in joining the COZMO mandolin ensemble? Players of mandolin, mandola, mandocello, guitar and bass are welcome to join. Enquiries: Please phone 0421 043 082 or Email secretary@cozmo.org.au for details, prior to your first visit. COZMO Ensemble rehearsals: 5.15 – 7.30pm. Membership fee (annual, to end February): $120.00. For details of fees, go to https://cozmo.org.au/joincozmo/fees/. For hire/purchase of mandolins, go to https://cozmo.org.au/joincozmo/instrument-hirebuy/.